Sweet peaches and nectarines are topped with homemade crust, then baked until hot and bubbly. 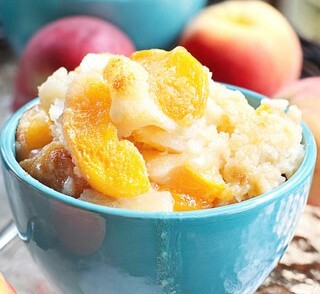 Our peach-nectarine cobbler is the perfect dessert for spring and summer nights! In a medium saucepan, over med-high heat add the filling to the pan. Stir constantly until the filling bubbles and thickens, about 5-10 minutes. 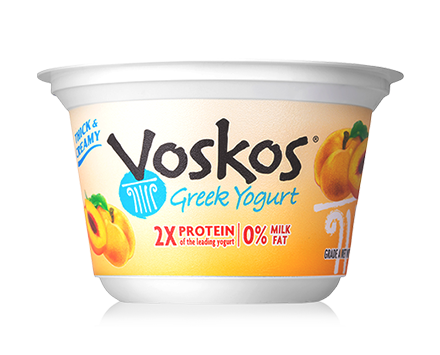 In a medium bowl, add the topping ingredients and mix with a hand held mixer until combined. In a small bowl, mix regular sugar and cinnamon powder to create cinnamon sugar. Set aside. Using an ungreased pie pan or 13x9 casserole dish, pour filling into pan and top with topping. Spread topping to coat the filling with a spatula. Sprinkle the cinnamon sugar over the topping and place in a preheated over at 350°F. Bake for 35-40 minutes, until the topping is golden brown. Serve hot or at room temperature.